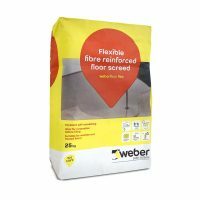 For correcting uneven surfaces we stock a great range of Weber Self Levelling Compounds that help to eliminate surface irregularities on interior floors. They can be applied to cement screeds and concrete to leave you with a smooth subfloor for tiling with floor tiles or carpeting. 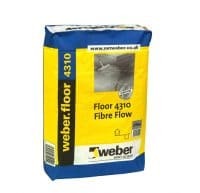 You can also find weber self levelling compounds that can help to correct difficult surfaces such as wood and other interior surfaces like ceramics tiles or floating floors. Some levelling compounds can even be used to level floors where underfloor heating is present allowing you to take full advantage of your underfloor heating system. Browse now for self levelling compounds for your home or business.